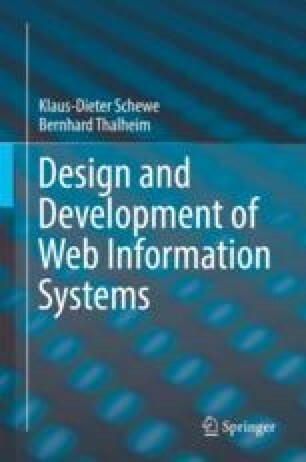 The chapter continues the presentation of the conceptual model of Web Interaction Types from Chapter 7 emphasising content for further advanced reading. It addresses first various extensions of web interaction types with respect to measuring, ordering, presentation options and contexts. This is followed by a formal discussion of the use of web interaction types beyond content abstraction for single elementary scenes investigating, how web interaction types can be exploited for session support, navigation contexts and collaboration.